A beautiful and distinguished family.A private island.A brilliant, damaged girl; a passionate, political boy.A group of four friends—the Liars—whose friendship turns destructive.A revolution. An accident. A secret.Lies upon lies.True love.The truth. 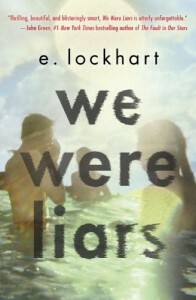 We Were Liars is a modern, sophisticated suspense novel from National Book Award finalist and Printz Award honoree E. Lockhart.